Come and see one of Perth’s largest range of mature trees at competitive prices! Why wait years for a beautiful garden? 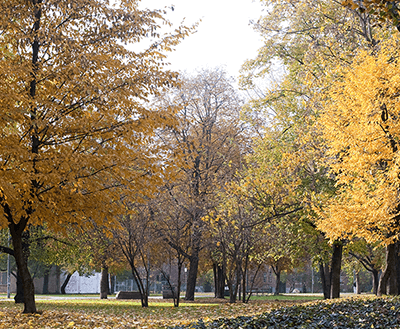 Established, mature trees add so much to your outdoor environment. They create shade, privacy, ambience, and fresh air. As the experts in advanced trees, Instant Tree Nursery can provide you with established trees that fast track you past years of wait-time, allowing you to enjoy the benefits that only an advanced tree can provide. With years of knowledge and experience in the industry, we’ll give you expert advice on how to transport, plant and nurture your established tree so that it becomes a thing of natural beauty to enjoy for years to come. Come Visit Us – We Are Easy To Find! 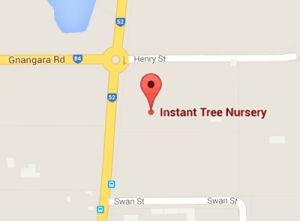 Visit our Tree Nursery today, conveniently located on the corner of Gnangara Road and Henry Street, Henley Brook. Come and explore our massive range of mature trees, from fruit trees, including citrus, olive and mango, deciduous trees, evergreens, screening and shade trees, native trees, ornamentals, pines, and more. We supply trees to homeowners, property developers, landscapers – simply anyone that loves trees. Even if you’re not ready to buy, why not drop by and get inspired!